A pentagram where the notes are the books which are arranged to the owner's liking to reflect the image of a personal melody. 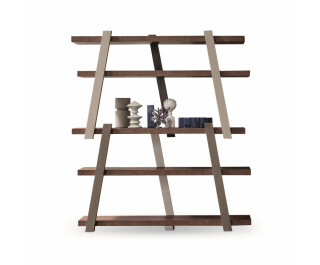 The Note bookcase is visually distinguished by the combination of the horizontal element, the shelves, with the vertical element, the beams. The shelves and beams are made of wood and are arranged in specific colour combinations.